Lhotse veteran American and Sherpa staff that have successfully led previous trips on the classic route of Lhotse. Want to learn more about climbing Lhotse, the fourth highest mountain in the world? Contact us today and we will give you all the info you need. At 27,940 feet (8,156 meters), Mt. Lhotse is the worlds fourth highest peak and one of the Prized 8,000m peaks. Lhotse is the close neighbor of Chomolangma or Mother Goddess of the Earth connected by the South Col. So much history and culture has evolved around the route up Lhotse because it shares most of the route with Everest. It has become an acheivable goal for many mountaineers throughout the world. 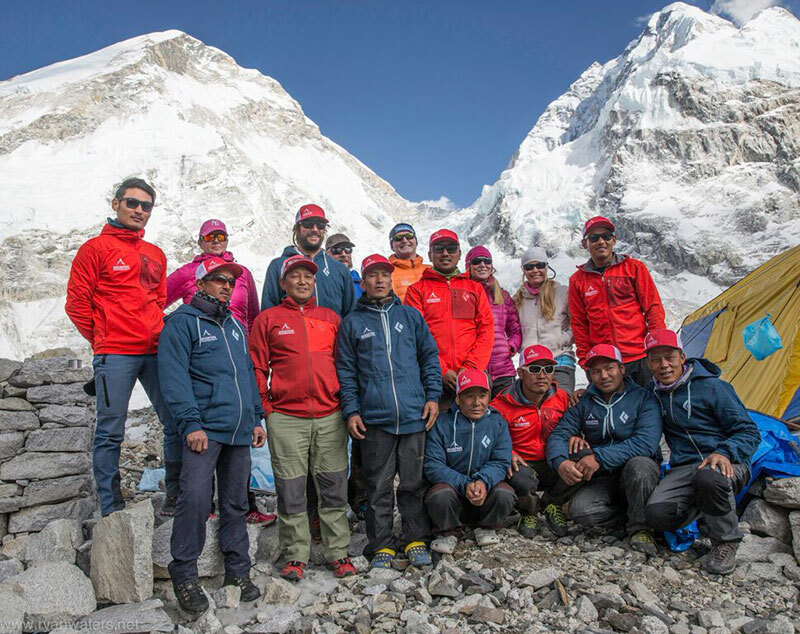 Join the Mountain Professionals Lhotse veterans for a privately organized and led expedition to the worlds most famous mountain. Our trip consists of high western staff to client ratio, 1:1 Sherpa to client ratio, and a small team mentality. We feel that this is a huge advantage in your summit chances and is backed up by our previous high percentage of summit success. The normal route on Lhotse, in Nepal is one of the classic routes in the Himalaya. The route was first climbed in May of 1956 by a Swiss team and is accessible via the Khumbu Valley, leading to the famous Khumbu Icefall, the Western Cwm and eventually to the Lhotse Face. After leaving camp 3 on the face our team will climb the Everest South Col route stopping at the base of the Lhotse couloir and establishing a high camp 4. The summit day is a fantastic climb up the relatively protected couloir that contains mixed ice, snow and rock the entire way to the summit. The summit day will be fixed with rope to help ensure a safe ascent and descent. 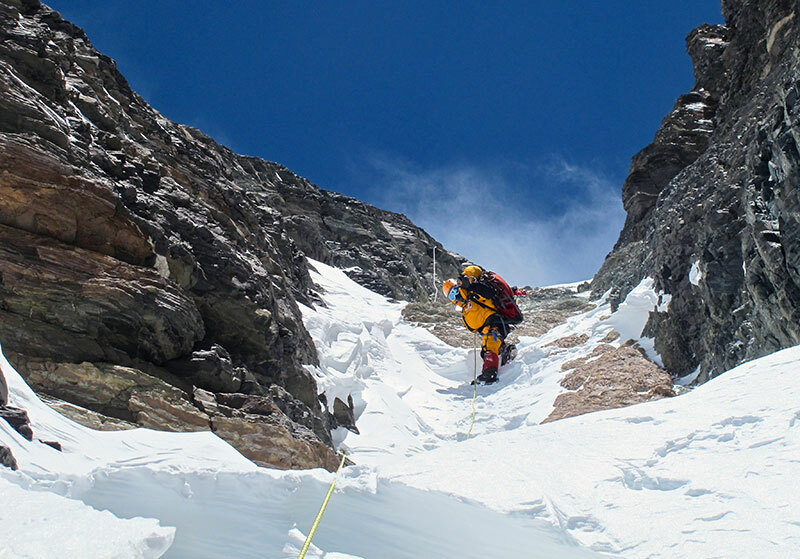 While the summit day is moderately steep, it is sustained and continues to climb the entire way. 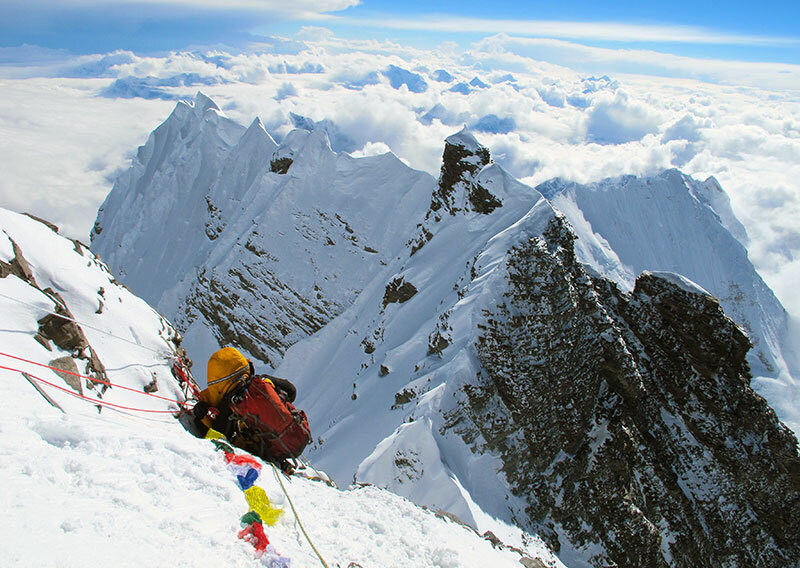 Climbers reach the steep, final 50 meters of rock and snow to the summit. The key to a successful ascent of Mt. Lhotse is patience, good organization of logistics, perseverance and little luck from the weather. 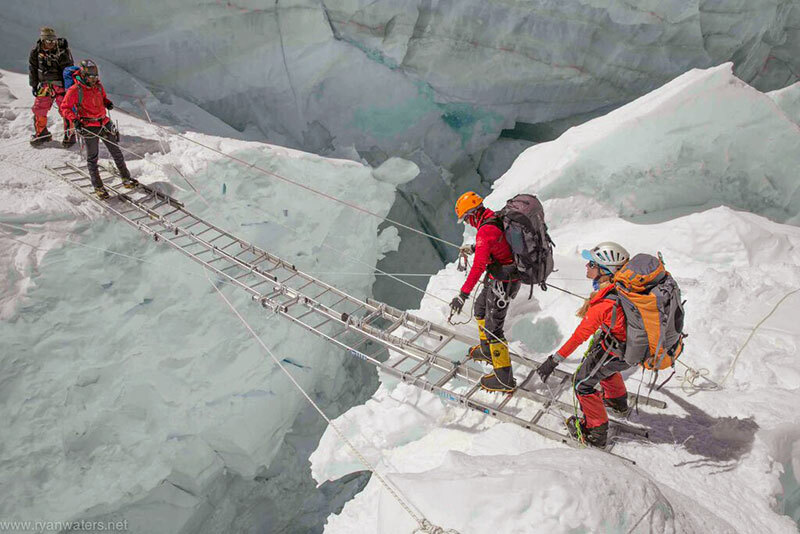 We feel that being part of a strong team on Lhotse has great advantages for reaching the summit. Our expeditions, although led by professional mountain guides, has a feeling of relaxed efficiency, with two-way communication between the staff and the team members. We feel there is a huge advantage to joining a small, highly organized group of climbers, led by our staff to manage all the on mountain logistics and risk management. This ensures that you can concentrate on climbing Lhotse and can rely on the experience of the expedition leader. We return to Mt. Lhotse via the normal west face route. Follow the news beginning in April, 2019. Day 7: We will hike along the Dodh Kosi River and eventually make our way through the Rhododendrons to the Tengboche Monestery and on to Deboche. Day 13-49: This is our climbing and summit window; we carefully pick the most stable weather and make our attempts sometime mid to late May. Day 50-56: We have carefully planned in extra time to allow for a late weather window, rest, and pack up. We also travel back to Kathmandu. Day 57-58: Down time in Kathmandu to celebrate and shop for gifts and enjoy our team celebration dinner. Four nights private accommodation in the Kathmandu. Full board on twin sharing basis on Trek. Heated and Carpeted- Dining tent, full kitchen, shower and toilet tents, chairs and tables at BC and C2; Esspresso/Coffee, comfortable BC environment and highest quality food served at Everest. 5 bottles of oxygen and use of mask and regulator. Access to and unlimited consultations to the Himalaya Rescue Assoc. doctors in Base Camp. Nepal visa and re-entry visa, Kathmandu airport departure tax; personal travel.